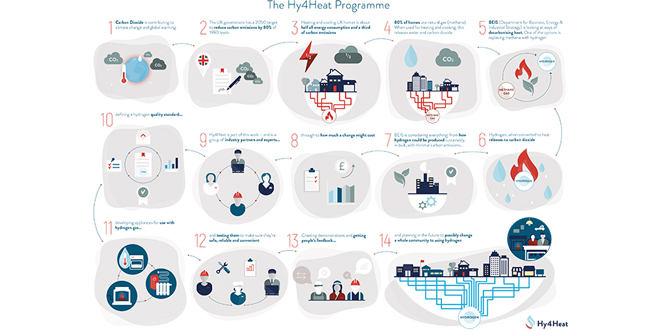 The Hy4Heat programme is a feasibility study into the use of hydrogen for heat in UK homes and businesses aimed at establishing whether it is technically possible, safe and convenient to replace methane with hydrogen in residential and commercial buildings. This work will help the government to determine whether to proceed to a future community trial. A separate project will look at purity, odorisation and colourisation. The Department for Business, Energy and Industrial Strategy (BEIS) has appointed Arup+ as the programme management contractor for the Hy4Heat programme to manage and co-ordinate the various work packages, including the standards work. 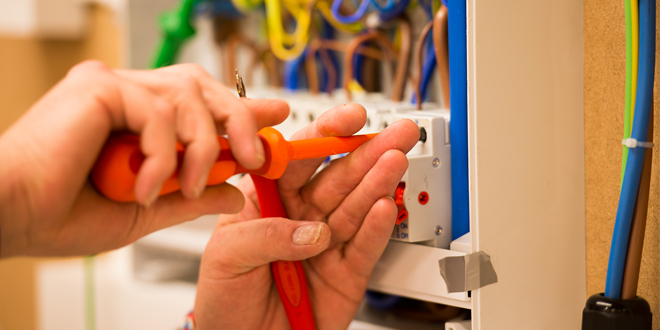 Three IGEM working groups will look at the following areas: DSEAR, materials, leakage rate and ventilation; appliance location, fluing, installation and air supply; and installation. The work will be peer reviewed by the Hy4Heat project board, industry experts from the Health & Safety Laboratory, DNV GL, and IGEM’s own Technical Coordinating Committee and Gas Utilisation Committee. IGEM Head of Technical Services Ian McCluskey said: “IGEM is recognised around the world as the leading body producing standards relevant to the whole gas supply chain. “Thanks to our network of senior engineers from every corner of the gas industry, no other organisation is better placed to develop a hydrogen standard for the Hy4Heat project. “This work, alongside IGEM’s involvement in other GDN-led hydrogen projects, will ensure that the relevant standards are developed and owned by the UK gas industry, ensuring the UK’s proud 200-year history of gas safety is maintained. IGEM will be delivering this project with industry partners DNV GL, Global Energy Associates, Health & Safety Laboratory, Heating and Hotwater Industry Council (HHIC) and ICOM Energy Association.